Louise Dye is the N8 Chair and Professor of Nutrition and Behaviour in the University of Leeds Human Appetite Research Unit, based in the School of Psychology. Following a PhD in Human Psychopharmacology, she has accumulated more than two decades of experience in the assessment of cognitive function following nutritional and pharmacological intervention. Her research career has taken her across the world, with fellowships in the UK, Germany, Sweden, and even Australia, where she recently held the title of Visiting Distinguished Fellow at the Sansom Institute’s Nutritional Physiology Research Centre. Professor Dye’s current research focuses on human nutrition and the connections between diet, health, and physical and mental well-being. 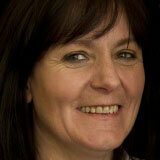 She is interested in how to encourage and sustain behaviour changeat individual, organisational and societal levels. Her particular expertise is the effects of food and food components on cognitive performance, digestive function and appetite control. She has published a number of influential systematic reviews on the effects of breakfast on academic, cognitive and behavioural outcomes in children and adolescents, as well as conducting a number of studies on the effects of different food components on mental performance. She is Associate Editor of Nutritional Neuroscience and the European Journal of Nutrition and currently sits on the BBSRC Bioscience for health strategic advisory board, Sanofi Consumer Healthcare scientific advisory board, and the International Life Sciences Institute (ILSI).scientific advisory board and five of its expert groups, including natural ingredients for mental performance.